I have always liked this wine but didn’t realise just how good it was until I took part in a tasting of all five vintages earlier this week – see my blog for details. Kevin Judd, the man behind Greywacke (and Cloudy Bay before that) is a thoughtful and I suspect meticulous winemaker and it shows. All of the wines were very good and several great. This wine falls into the great category and I can see it improving further. 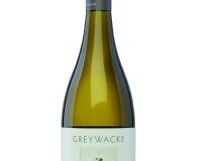 But if you want to see how good Marlborough Sauvignon can be, treat yourself to a bottle. Available from Jus de Vine, Portmarnock; Redmond’s, Ranelagh; Clontarf Wines; The Corkscrew, Chatham St.; 64wine, Glasthule; Blackrock Cellar; Greenacres, Wexford.